I’ve gotten a little tired of hearing about how Donald Trump finally tightened the screws on North Korea and forced them to the bargaining table. North Korea is at the bargaining table because they finished their nuke and missile development and now figure they’re safe from regime change. 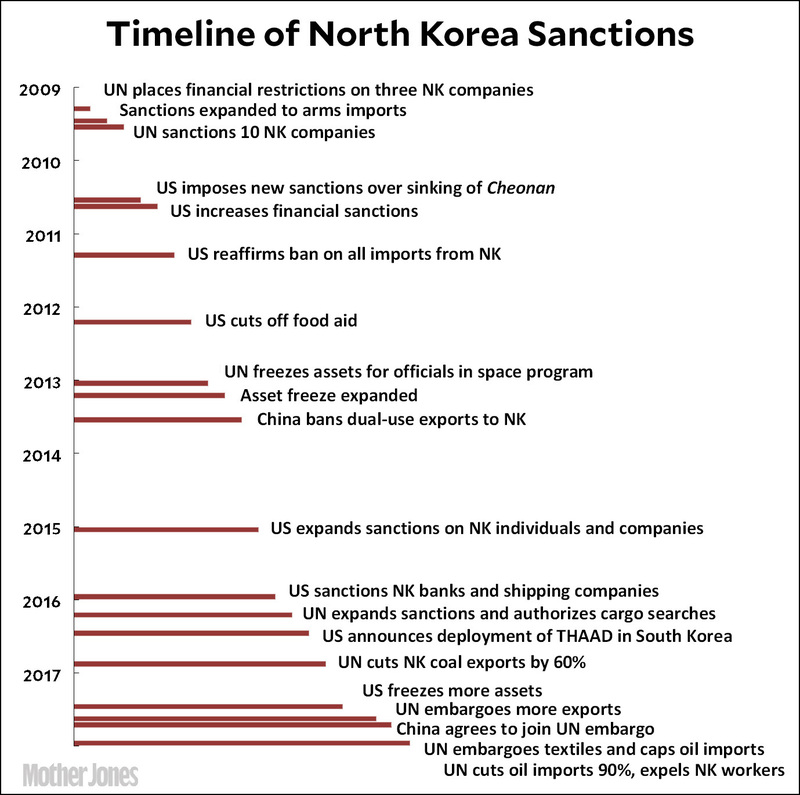 And the odds that they plan to give that up in return for lifting sanctions are pretty close to zero. Anyway, if you want to know what’s been done both before and after Trump took office—putting aside his moronic tweets—here it is. Trump’s contribution is at the very bottom.